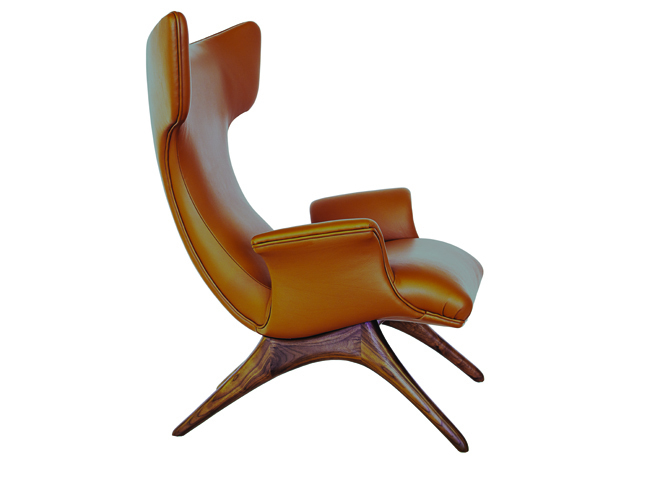 This month I wanted to feature a chair that was designed by one of my favorite furniture designers of all time, Vladimir Kagan. I am a huge fan of mid-century modern anything and especially love pieces created by Kagan. The clean lines and sculptural, curvilinear style makes each piece unique and easily recognizable as a piece that was designed by this fantastic designer. This month we selected the Ondine Chair. This chair was designed in 1958. The top section of the chair is upholstered and the base is made of a rubbed oil finished walnut. The winged arms and curved back give this chair a sculptural feel. It is a functioning art piece that would make a great addition to any home. « F.I.N.D.S. Two Year Anniversary!